Cassandra Taylor, an accountant from north London, knows what it’s like to be a victim of identity theft. 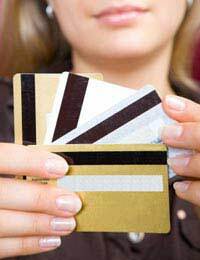 Five years ago her credit card was cloned, and someone went on a wild spending spree pretending to be her. “I used my card in a petrol station in Wembley on a Tuesday. The following Monday I went to use the credit card and there was no money in my account,” says Cassandra, now 37. The incident happened before there was widespread use of CHIP and PIN, which have been instrumental in the battle against identity theft when it comes to credit cards. So all someone had to do was swipe Cassandra’s credit card, fake her signature, and walk off with the goods. First of all, Cassandra cancelled her credit card, and made plans to get a new one issued with a new PIN. “At first I was just mad, I was just angry. And when I first went to the bank to try and find out why I had no money in my account, they said, ‘Well, you spent it all,’” Cassandra recalls. The bank presented her with a list of all the transactions, and made her mark all the ones she did not make. Then she had to go to the police and fill in a credit fraud form, and supply the police with a copy of all the transactions that were not hers, and tell them where they were made. The only thing the police confirmed, she says, is that a few credit cards that were used at that same petrol station had been cloned, so it was obviously someone who worked there who was perpetuating the crime. “After it was all settled, it was just really annoying and really inconvenient for me, as I had no money for about a day and a half,” Cassandra says. The police said credit card cloning was a common crime at the type of petrol station which Cassandra had visited. "It was one of those petrol stations where you have to pay before you get petrol at night, and you have to leave your card there while you take the petrol, which gives them time to copy all the details off it. "The police said never to do that, and that they should never ask you to pay for petrol before you put it in the car. "They also told me that this type of crime was happening in petrol stations throughout the country more than anywhere else." Cassandra considers herself lucky that she didn't have more money in the bank, and that the whole incident was cleared up quickly, which isn't always the case with other types of identity theft crimes. "The thieves carried on trying to use my credit card but since I had reached the overdraft limit, the bank stopped letting it go through. "I got my money back but the bank at the time actually seemed to think that the shops would not get their money, as my bank was refusing payment even though the shop had accepted it. "In the end, I was just happy to be out of it all!"